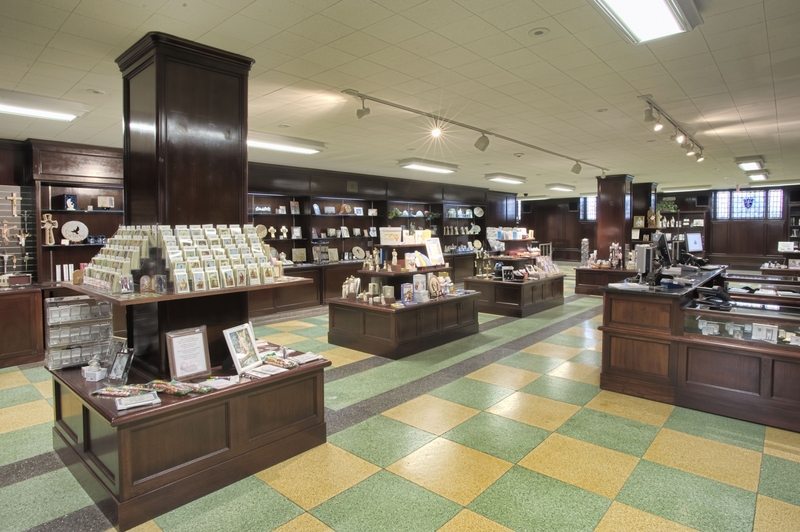 The Our Lady of Victory Gift Shop is located in the lower level of the Shrine next to the Father Baker Museum. The Gift Shop sells religious, faith-based and inspirational gift items such as rosaries, medals, crosses, crucifixes, statues, books and many other gifts including angels and bibles. You will also find brand names such as Swarovski and items from Bethlehem (Holy Land). The Gift Shop also offers a great selection of Baptism, Wedding, Communion, Confirmation and Irish based gifts. During the year the Gift Shop runs monthly specials as well as on Father Baker Day (July), and the Feast Day of Our Lady of Victory (October). You will find various specialty Father Baker and Our Lady of Victory items, and many items relating to St. Christopher, St. Michael, St. Peregrine, St. Gerard, St. Jude and many more. Periodically the Gift Shop offers raffles of precious gift items, most recently a Swarovski crystal rosary as well as a yearly raffle for a Nativity Set and handmade crèche. The Gift Shop is open daily from 10:00 a.m. to 4:00 p.m.